1. Alfredo Rodr&iacute;guez (Havana, 25 October 1936 ? Paris, 3 October 2005) was a cuban jazz piano player. He moved to Manhattan in 1960, and later to Paris in 1985. After a brief stint in Miami in the early '70s, he began working as a session player and club performer in New York with notable success, recorded best on the 1976 album Ready for Freddie with Patato Valdes. 2. 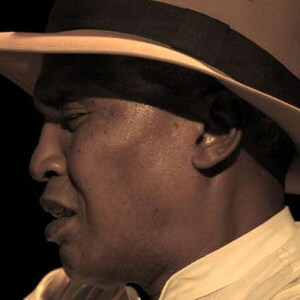 Alfredo Rodr&iacute;guez (Havana, 1986) is a Cuban jazz piano player. He was "discovered" by Quincy Jones at the 2006 Montreux Jazz Festival. He moved to Manhattan in 1960, and later to Paris in 1985. After a brief stint in Miami in the early '70s, he began working as a session player and club performer in New York with notable success, recorded best on the 1976 album Ready for Freddie with Patato Valdes. 2. Alfredo Rodr&iacute;guez (Havana, 1986) is a Cuban jazz piano player. He was "discovered" by Quincy Jones at the 2006 Montreux Jazz Festival. Alfredo's debut CD will be released in July of 2010 on Qwest Records and his first European tour will be this Summer. Alfredo's influences range from Johann Sebastian Bach, Ludwig van Beethoven, and Stravinsky to Thelonious Monk, Bill Evans, Herbie Hancock, and Quincy Jones. Jones: ?He is very special and I do not say that easily because I have been surrounded by the best musicians in the world my entire life and he is one of the best. ?